The Fly Filmmaking Challenge organized in partnership with Washington Filmworks, returns to the 2018 Seattle International Film Festival (SIFF) after a three year hiatus. For the first time ever, the Fly Filmmaking Challenge hit the road and invited filmmakers from cities across the state to participate. Each filmmaker chose a creative professional living in their community as the subject of their documentary film. From a fashion professional to a creative technologist, from a woodworker to a literary artist, SIFF audiences will experience an intimate look inside each artisan’s creative process and understand how their work benefits the quality of life in the city which they live and work. Given only 10 weeks to plan, produce, and complete a short 5-7 minute documentary short within the creative challenges, filmmakers must think on their feet to present the most compelling film. “Documentary projects often afford months to years of production but this year’s team said they are up to the challenge.” said Dustin Kaspar, SIFF’s Education Programs Manager. “The abbreviated production timeline engages their creative instincts and provides a showcase of their visionary talent through another artist’s process. The final program features six short films by filmmakers from across the state, intended to shine a light on Washington’s far-reaching and inspired creative industries. 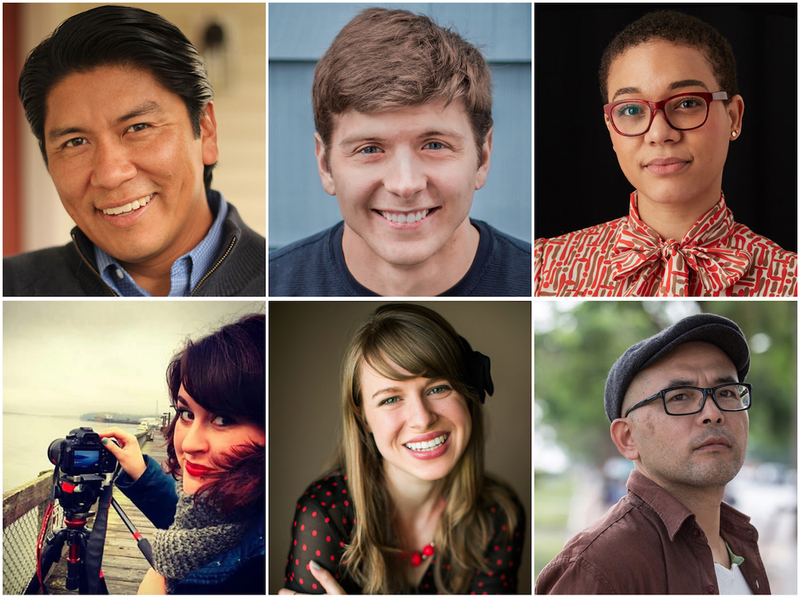 The 2018 Fly Filmmakers are Jeff Barehand (Olympia), Graham Bourque (Ellensburg), Myisa Plancq-Graham (Seattle), Elliat Graney-Saucke (Seattle), Kendra Ann Sherrill (Spokane), Masahiro Sugano (Tacoma). Jeff is an enrolled citizen of the Gila River Indian Community of Arizona. He studied at the Studio Theatre Acting Conservatory in Washington, D.C. and filmmaking at the American Indian Arts Institute’s intensive filmmaking workshop sponsored by ABC/Disney. He is a founding member of the non-profit, the Olympia Film Collective, a South Sound premiere filmmaking hub. He is co-owner of Sky Bear Media, a video production company specializing in producing media for Tribes, Native organizations, and Tribal youth programs. He is a Sundance Native Lab fellow and also the current Board Chair of Red Eagle Soaring, Seattle’s only Native youth theatre program. Graham is a filmmaker living in Ellensburg, Washington. He graduated from Central Washington University in 2017 with a degree in Film Production, and has produced a number of short films, documentaries, and commercials. During his senior year, he produced Todd’s Vlog which won 1st place in the narrative short film category at the BEA Festival of Media Arts 2017. Elliat is a documentary filmmaker focused on equity and cultural knowledge exchange. Currently acting President of the Seattle Documentary Association, Elliat is completing her second feature documentary Boys on the Inside, about ‘boy’ culture in women’s prisons. She is also completing the documentary Art Heart: Children of Riot Grrrl with Celeste Chan, about coming of age in riot grrrl, queercore culture. After seven years in Berlin producing content in eight countries, she is back in Seattle as an organizer and teacher at Northwest Film Forum and Director of Elliat Creative, LLC. Kendra Ann is an award-winning filmmaker from Spokane, WA. Many of her short films have screened at local film festivals such as the National Film Festival for Talented Youth, Seattle Shorts Film Festival, Local Sightings Film Festival, and Reel NW. She is a graduate of the Eastern Washington University’s Film Program, where she received the Best Director and Best Screenplay awards, and was a finalist for the the DGA Student Film Awards. Kendra also serves as the Assistant Director for the Spokane International Film Festival and works full time as an editor and producer for the Emmy award-winning television series Washington Grown. Masahiro, a Sundance Film Festival alumnus, is an award winning filmmaker whose accolades stretch from a Student Academy Award nomination in 1997 to his most recent 2016 Documentary Award given by the National Asian American Journalists Association. In 2013 he received the Center for Asian American Media’s Innovation Fund for his series “Verses in Exile,” currently hosted on PBS.org. Masahiro’s second feature, Cambodian Son is winner of several awards including the Best Documentary Award at CAAMFEST 2014 and the Audience Choice Award at Bali International Film Festival 2015. As co-founder of artist-ran media lab Studio Revolt, Masahiro creates short films on a variety of societal issues such as deportation. He’s also a pioneering force in the art of spoken word videos. Earning a B.A. in Philosophy from California State University, Northridge, Masahiro went on to earn an M.F.A. in Film from University of Illinois, Chicago. Masahiro currently resides in Tacoma, WA and serves as an Artist-in-Residence at the University of Washington, Bothell. Watch Broad City's Abbi Jacobson and Dave Franco in Trailer for "6 Balloons"